Lippo Malls Indonesia Retail Trust (“LMIR Trust”) announces its 1Q2016 financial results on 3rd May 2016. Gross revenue increase by 8.5%. Net Property Income (“NPI”) increase by 4.6%. Distribution Per Unit (“DPU”) increases 5.1% to 0.83 cents as compared with 0.79 cents in 1Q2015. LMIR’s total outstanding debt as at 31 March 2016 stood at SGD 695 million, with a gearing ratio of 35.7%. 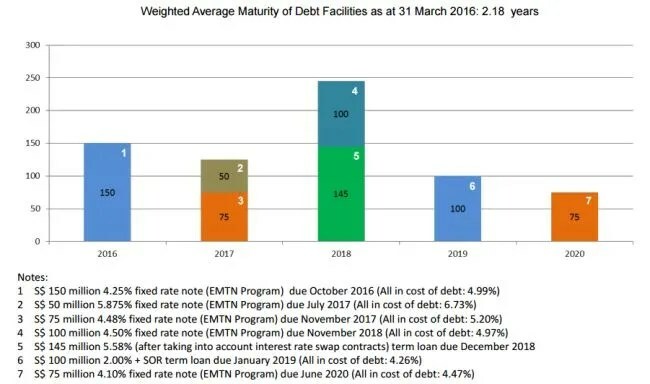 Weighted Average Maturity of debt facilities was 2.18 years. I noticed that S$150 million fixed rate note are due this year October 2016. These are the top tenants by gross rental revenue. Some familiar names are Giant supermarket, Fitness First and Carrefour. The top 10 tenants contribute to approximately 22.7% to LMIR Trust gross rental revenue. 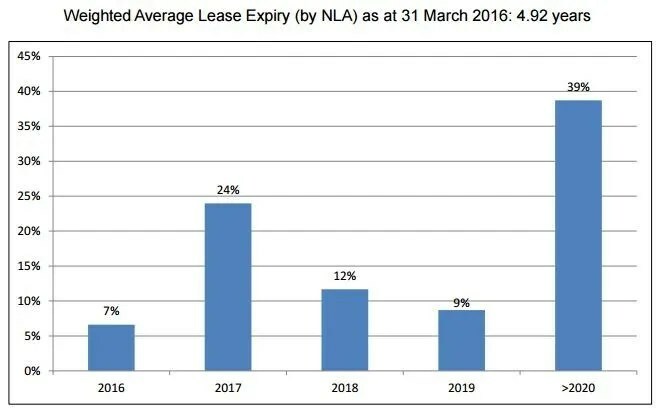 The weighted average lease expiry is 4.92 years. The mixture of long and short term leases in LMIR Trust’s portfolio provides growth and stability. The below shows the rental reversion trend for LMIR Trust.